At present there are 16 main sharia courts around Britain, located in Birmingham, Bradford, and Ealing in West London. These institutions are “complemented” by more informal sharia-based tribunals—the think tank Civitas asserting that up to 85 tribunals currently exist in Britain. Let us hope against hope Wafa Sultan’s appearance opens Bill O’Reilly’s eyes—and his audience’s—to disturbing reality. Printing is allowed for personal use only | Commercial usage(For Profit) is a copyright violation and written permission must be granted first. Recall the euphoria that surrounded Barack Obama during the 2008 election season and after he was inaugurated as the 44th President of the United States. Life was going to be blue skies and rainbows, or at least we were told, with hope and change on the way. The American people would be better off and so would our nation with Obama in control. After a little more than two years as the President, those blue skies have turned gray with not the slightest hint of a rainbow. Some professed that with Barack Obama as President, the staples of life would become affordable if not altogether free. Surely you remember Peggy Joseph who said, at a Barack Obama campaign event in August 2008, that she would not have to worry about paying for her gas and mortgage. Consider what has happened to those staples of life during the Obama presidency. Female Egyptian Protestors Tortured and Forced To Submit To “Virginity Testing”. Amnesty International has today called on the Egyptian authorities to investigate serious allegations of torture, including forced ‘virginity tests’, inflicted by the army on women protesters arrested in Tahrir Square earlier this month. After army officers violently cleared the square of protesters on 9 March, at least 18 women were held in military detention. Amnesty International has been told by women protesters that they were beaten, given electric shocks, subjected to strip searches while being photographed by male soldiers, then forced to submit to ‘virginity checks’ and threatened with prostitution charges. Proof that you don’t have to live in New York or Hollywood to be a left-wing knothead was the decision by a Chicago high school to boycott a basketball tournament in Arizona because someone — the principal perhaps — opposed Arizona’s immigration policy. A policy, as we all know, that is the mirror image of federal law. Then, having shown the world what they think of those racists in Arizona, they went off to play an exhibition game in a country that serves as a role model for freedom-loving people everywhere . . . China! Leftists like to think of themselves as clear-thinking realists who are sensitive to nuance and irony. In reality, they are like little children who regard fairy tales as non-fiction. For instance, they champion socialism even though the past hundred years have proven time and again that it doesn’t work in practice the way it does in theory. On the contrary, in every country where it has existed, it has inevitably led to loss of liberty, widespread poverty and mass murder on a scale that has no parallel in human history. Point out this obvious fact to a liberal, and once he gets done calling you a greedy, heartless, bloodthirsty reactionary, he’ll insist that we haven’t yet seen true socialism. Actually, we have. We’ve seen it in the Soviet Union and Nazi Germany, in China, Cambodia, North Korea and Cuba. 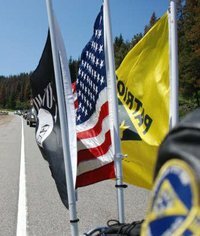 Napa California Hosts WELCOME HOME Celebration For Our Vietnam Veterans! 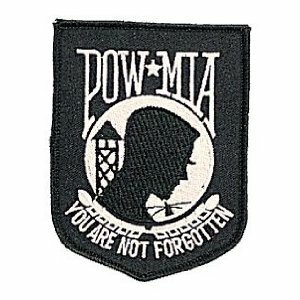 for Vietnam Veterans and the Community. On the Corner of Main St. and Third St.
JOE BIDEN DEMANDS PRESIDENT IMPEACHMENT PROCEEDINGS! JOE BIDEN DEMANDS IMPEACHMENT AND MSNBC’S CHRIS MATTHEWS AGREES! Shouldn’t be too difficult to get through the “House”. Clad in U.S. Marine uniforms, the illegal immigrants were apprehended at the Campo Border Patrol Westbound I-8 checkpoint at 11 p.m. on March 14 near Pine Valley, Calif., according to a March 15 report by California’s El Centro Border Intelligence Center. Officials at U.S. Customs and Border Protection are investigating a report that 13 illegal immigrants who were disguised as U.S. Marines were apprehended in a fake military van last week. Clad in U.S. Marine uniforms, the illegal immigrants were apprehended at the Campo Border Patrol Westbound I-8 checkpoint at 11 p.m. on March 14 near Pine Valley, Calif., according to information received by California’s El Centro Border Intelligence Center. The van used in the smuggling attempt, according to the report, was a privately owned vehicle registered out of Yucca Valley, Calif., and was bearing stolen government plates that had been defaced. The center digit — 0 — was altered to read as an 8. Further research through multiple government agencies determined that the plate belonged to a one-ton cargo van registered to the U.S. Marine Corps. “Agents are reminded to remain vigilant for new smuggling trends,” the report concludes. CBP spokesman Michael Friel told FoxNews.com that the agency was investigating the report. A call seeking comment from Department of Defense officials was not immediately returned. Supervisory Border Patrol Agent Steven Pitts, a spokesman for CBP’s San Diego sector, confirmed to Homeland Security Today “that [the apprehensions] did occur” and that the 11 undocumented aliens had been processed for deportation. A total of three U.S. citizens were processed on “alien smuggling charges,” Pitts told the website. The original report, however, cited two U.S. citizens. Pitts told the website that the San Diego Naval Criminal Investigative Service’s Southwest Field Office has taken the lead in investigating the incident. An investigation is ongoing, Pitts said, adding that federal charges related to the allegedly stolen vehicle could be added later. After stopping the van, CBP agents determined that none of the van’s occupants possessed military identification cards and each U.S. Marine uniform bore the name “Perez,” Homeland Security Today reports. The van entered into the United States via Mexicali, Mexico, and proceeded to Calexico, Calif., where the U.S. Marine uniforms were donned, according to Homeland Security Today. The Campo Border Station was constructed in June 2008 and is located roughly 28 miles east of San Diego Sector Headquarters in rural East San Diego County. It is responsible for securing approximately 13.1 linear miles of the U.S.-Mexico border and 417 square miles of surrounding territory. An estimated 7,000 vehicles pass through its two checkpoints daily, according to its website.